Giclee Stretched Canvas Edition of 250: $685. This beautiful print by Stan Vosburg highlights the invaluable work that Women played during World War II. 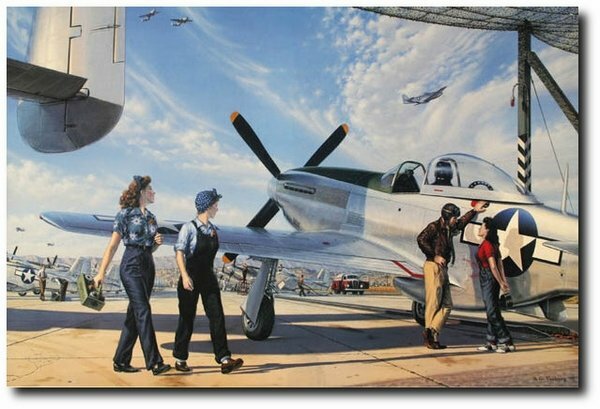 This shows P-51 Mustangs at the Rockwell Factory in Long Beach, California where the Women helped to build them.